Has the government stuffed up its tax review already? What’s the hashtag for the new tax review? There are several: #taxreview, #rethink, #bettertax, which means there may as well be none. To describe Australia as excited for this review would be, shall we say, intemperate. Was there a time when a major review was major? When the big splash of a report launched a thousand editorials and inflamed as many angry talk back callers? It’s easy to imagine the answer is yes. But that is probably based on us remembering the big ones, the ones that cut through. Plenty of reform drives run out of fuel. It is early days, but this review seems to be sputtering. Yesterday morning at 9am The Age had up two stories about the review by Economics editor Peter Martin. One reporting, one editorialising. By 12.17pm they were both gone from the front page. Surprised, I went hunting around the net at that time to see what other coverage I could find. Both the Australian and the AFR had the tax review as their top story. But The Age had the Uber story in the 7th spot on its site, and the Herald Sun offered me over 100 links before I found a Breaking News section right at the bottom of the page where, in tiny font, there was mention of the tax review. The tax paper itself worried about this on page iii. I kept finding evidence the community wasn’t. On the ABC news, a story about a suburban church burning down – with no casualties – ran higher than the tax story. And on Reddit, a link about the review got 20 upvotes, while this cat with a map of Australia on its nose got over 1000. Is this one of those articles that says “social media is making us dumb!”? Then spends a few paragraphs yearning for a golden age that didn’t exist, before vaguely hoping everyone will “grow up”? I see people discuss policy all the time. Online and off. Social media can be a powerful force for good, when people care. So why has this review not engaged us yet? I see three big reasons, two of which represent mistakes by a government I believe is sincere in its desire to achieve something – anything! – before the next election. 1. The discussion paper contains a headline idea that is undeliverable. Nobody need worry about the government raising the GST. They lack political capital to do things that should be much, much easier. Like passing their first Budget. Seeing this idea revivified once more just gives people license to pay no further attention. Props to Mr Hockey for ruling nothing out of this tax paper. It’s brave and principled. But is it wise? I’m unsure. 2. Treasury wrote the discussion paper. This .pdf lacks gravitas, has no imprimatur. If you want people to pay attention to something, it is helpful to have a name behind it. The Henry review had weight because at the time, Henry himself was extremely influential. The ideas in and implied by this discussion paper lack a visible patron. 3. Partly, I think people are disengaged about tax reform because they do not see tax as an input to economic activity. We see tax as something that happens after. We make money, then we pay income tax. We buy food, then we pay GST. We don’t observe all the dissuaded activity and so fail to grasp the systematic effect of taxes, i.e. the link between tax and growth. Most public discussions I see on tax reform focus on the fairness aspect – who should pay from a justice point of view – not from a growth point of view. This is a shame, because it leads parts of the public to assume Treasury doesn’t care about fairness. I believe they do care, but they are also trying to optimise the effect of tax on growth. The links from tax to growth are highly debatable – plenty of rich countries have higher aggregate tax takes than us, and plenty of rich countries have different ratios of consumption to income taxes. Commenter from The Age actually engaging with the idea that tax affects economic decision-making. I’d describe them as skeptical. I’d like for everyone to be talking about that idea, which rests on assumptions about the mobility of capital. But 99% of the public discussion is about revenue adequacy and fairness questions. 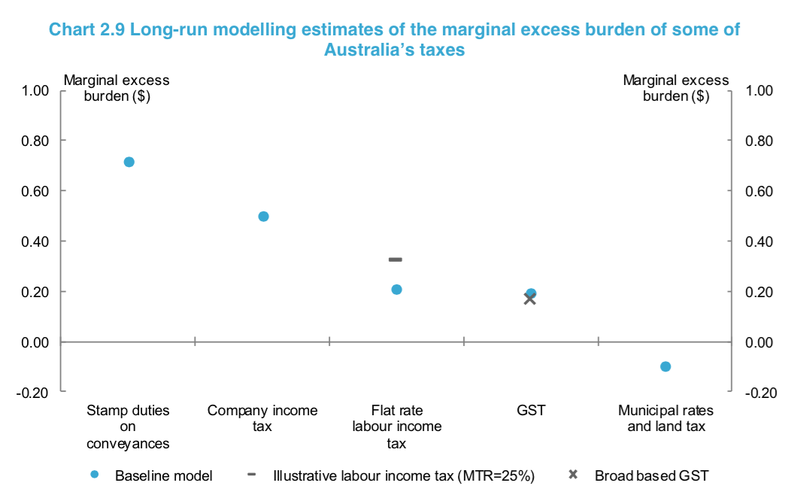 If the frameworks people had for discussing tax were the same as the frameworks Treasury was deploying, a more fruitful discussion may take place and Chart 2.9 – marginal excess burden – would be a national obsession. This discussion process is only just beginning, and I hope I’m wrong that people have already tuned out. I note good articles in the Guardian and New Matilda have appeared today. But at the same time, a new review has been released – on competition policy! We are asking a lot of the polity to absorb both at once. I guess it is the role of the public sphere – including humble blogs like this – to try to bring ideas in these reviews out of the tarpit and spray them with the hose, in order that they may be introduced to wider society. I shall try to write more about the tax review in coming days and weeks! Posted on March 31, 2015 August 26, 2015 Author thomasthethinkengineCategories UncategorizedTags Australia, better tax, Economics, re:think, tax review4 Comments on Has the government stuffed up its tax review already? My recent travels through the USA took me to Austin, Texas in the middle of March. At that time Austin is taken over by the festival known as South by Southwest (SXSW). This was no coincidence. We went especially for the music part of this festival and were ready to be blown away. 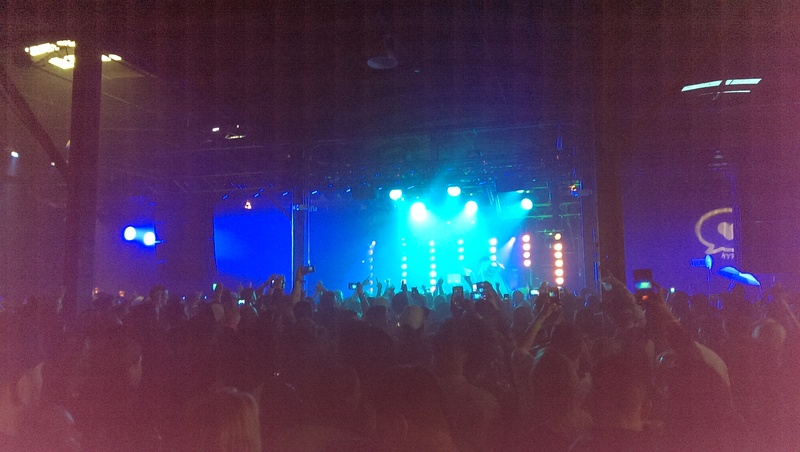 I wrote in 2013 about my first SXSW experience, and this time was definitely different. The festival had returned to its roots – eschewing big names in favour of exposing new bands. This meant the bills were filled with names we did not know, and gave us more freedom to choose venues at random, without expectations. The music was often great, and despite never having heard the tracks before, we regularly left gigs with a hook on repeat in our heads. But there was one surprise. Time and again we found “bands” on stage that were not traditional bands. Many acts did their show on just a laptop and a microphone. We saw the Apple logo more often than the Fender logo. That’s fun, but a traditionalist streak lurks within us. So on day four, the desire to actually see a big, proper band letting loose made us seek out an African/Carribean night at a smaller club. 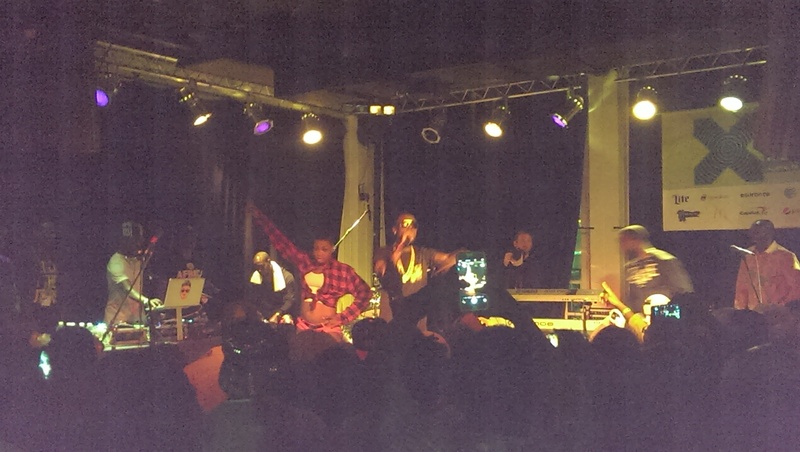 It featured acts from Cote d’Ivore, Nigeria, etc, and we expected something in the tradition of Fela Kuti. But our search did not lead to a big band. Not a cymbal was struck in anger. Once more, we saw multiple acts featuring one microphone and one Macbook. 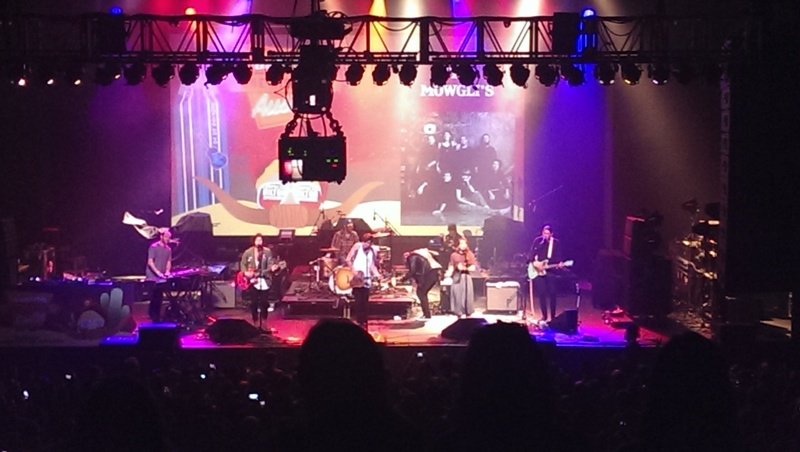 It sounded great, the crowd was into it and we had a good time. But it got me thinking. In Cote d’Ivoire, how is a band starting out going to buy instruments? In Australia, people who are in bands work hard in traditional jobs to get the money to buy a bass, a guitar, and a drumkit, each of which can cost over $1000. My friend the trumpet player, for example, is a vet. It’s common knowledge that a band doesn’t make money in 2015. Not for the first few years, anyway. So they need a revenue stream. With the economic situation in Cote d’Ivoire, it’s probably not as simple as working in a bookshop to save for a new amp or some pedals. It makes sense most acts will be lean, streamlined, cheap to run. Expecting a full band is like expecting a grand piano. Not realistic. That idea stewed in my mind for a while until I realised that it wasn’t just relevant to impoverished West Africa. It would apply in the rich world too. Instrument choice could even explain success and longevity. Longevity and success are going to be linked in both directions. Because a good band will last, but a band needs to last to get good. In the Western world, assume a share of bands start up with a traditional four or five-piece set up – more EADGBE than QWERTY, and a share of bands start up with a macbook they had anyway and a pirated copy of a music making program. Who is more likely to get the 10,000 hours of practice they need before they crack? iLoveMakonnen: A two piece featuring an MC and a DJ (who hasn’t touched an actual ‘disc’ in years). While all bands suffer from entropy and slowly disappear, the effect will be more pronounced for larger bands with more expensive equipment. There are plenty of reasons for bands to split. But money-making is not the least of them. If a big band does make a bit of revenue, the musicians will find it divided among many people, and soaked up by depreciation of the band’s material. They will start to see the band as an ongoing expense, not a money maker. In this scenario, bands with an upright bass and a trumpet are disappearing fast, while the number of bands using pirated software and a macbook shrinks at a lower rate. That means by year four or five, when all the skills are finally in place to write a song that’s genuinely awesome, the bigger, more traditional band’s songwriters are back at university, while the smaller acts are still plugging away. It may be hard to justify a full band when you can make all those sounds through a computer. The main advantage of a proper band could be the richer stream of ideas that come with a meeting of minds. Happily, there is still evidence of that happening. Quality still wins out and the occasional seven-piece does make it through the cracks to become a viable band. Below is the Mowgli’s, who sounded great. Sure they’re white people from LA – one of the richest cities in the world – but at least that swirling moneypool is splashing some cash in the direction of old-fashioned music making. Slammer Jammer! Ticket scalping in America. I’ve been to Utah a few times. One thing I like to do there is attend an NBA game. 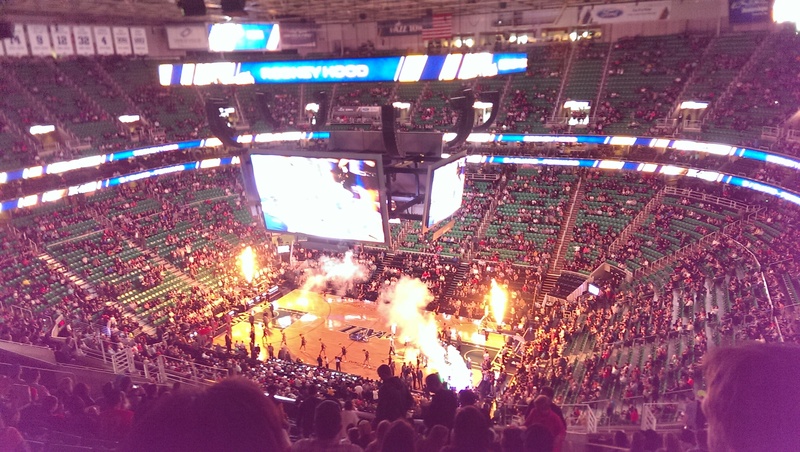 The Utah Jazz play home games in central Salt Lake City. In 2011 I wanted to go see the Jazz, so during the afternoon we made our way to the poetically named Energy Solutions Arena, to see about tickets. Inside, a uniformed woman told us tickets would be $40. But outside, a significantly more casually attired man was able to sell us tickets and was willing to negotiate on price, down to $20. That night, as we joined the purple-clad throngs filing towards the stadium, we saw many more people pushing tickets outside for low, low prices – including some shouting “free tickets!”. Prices don’t get much lower than that. 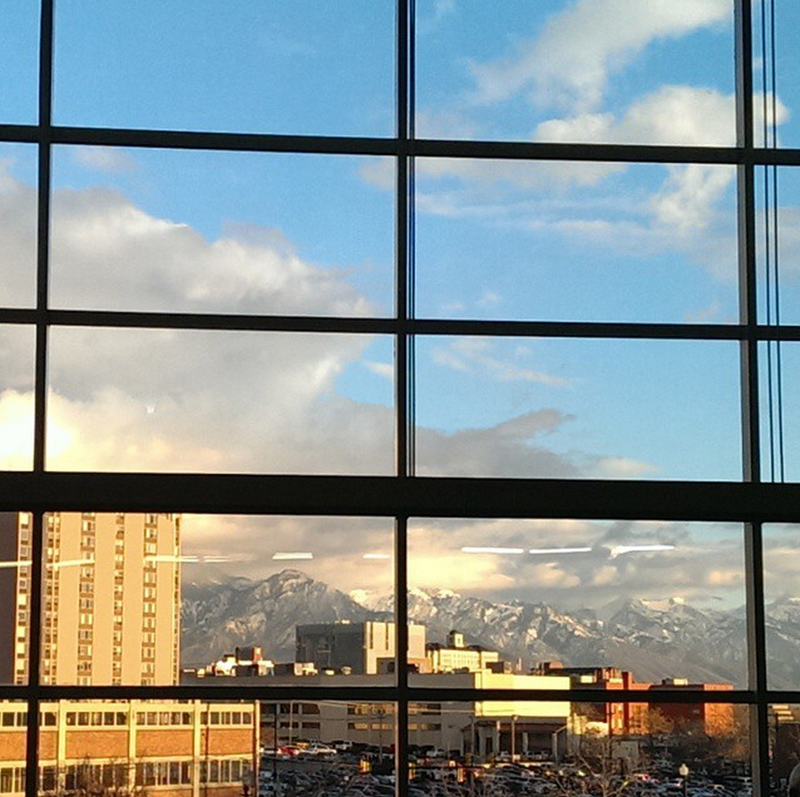 Mountains, as viewed from inside the arena. Ticket scalping is a state issue, and it is not one the lawmakers of the mostly mormon state have sought to trouble themselves with. In the absence of any law, ticket scalping there is apparently totally legit. Inside, it was clear why the man had been willing to negotiate our ticket prices. High in the stands where we sat, there were very few other punters. But we added our voices to the support for the Jazz (hilarity ensued as we convinced one Australian basketball ingenue that it was completely normal and in fact expected to yell Slammer Jammer! after every dunk). Despite our enthusiasm, the Houston Rockets prevailed that night, 97-96, and my favourite part of it was seeing in the flesh the subject of my favourite piece of long-form journalism ever, Shane Battier. Michael ‘Moneyball’ Lewis wrote a big feature on him in the NYTimes that I had re-read several times, before I even knew who Michael Lewis was. So when I returned to Salt Lake City in 2015 I knew I would go back to Energy Solutions Arena to see the Jazz play, and I knew tickets should be damn cheap. I was googling to see if scalping was still happening, hoping I might get my hands on some of those free tickets I remembered so vividly. But my googling soon led me to a whole different marketplace. Online ticket re-selling. 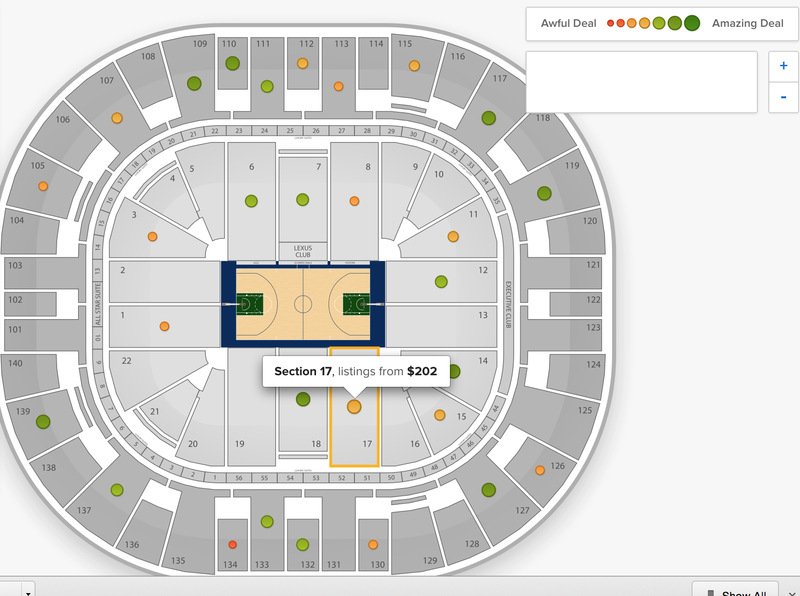 Within moments I was on the website of SeatGeek.com, where tickets were going for an amazing range of prices. You could pay over $200 to sit behind the benches, or as little as $10 to sit high up in the stands. This felt substantially better than transacting on the street. For one thing, I had more information about the range of prices for different games (Thursday’s game’s lowest seat price was $10, Tuesday’s game was $7) and for different parts of the arena. I also got the guarantee that the seller would refund me if there were any problems. Unlike the dodgy guy who’d sold me the tickets in 2011, I was confident I could find SeatGeek.com again if I needed. And this, surely, was good for the game. Empty seats make for a bad experience for everyone, especially those who paid $200 to sit closer, but also the fans and the TV stations trying to give the impression that this sport is exciting. Where we sat, the crowd was full of families with plenty of children, and groups of unaccompanied teens. In Australia, these demographics would not be found at most professional sports events, because the price is such a barrier. What does that mean for attendance at live games in 20 years time? Will kids raised with sports on TV suddenly want to pay to attend once they become rich enough? But back to Utah on a Thursday, where the arena ended up about three-quarters full and the mascot worked hard to keep the crowd engaged as the Rockets capitulated pitifully. The focus of scalping laws is normally on those popular events where ticket prices are high. Economists bravely defend tickets going to those who can afford the highest prices. But might scalping not be just as useful – and even more morally defensible – in games where ticket prices are low? In Australia, scalping is not allowed, and the AFL often sees tiny crowds limp in for games in giant arenas, all the while keeping ticket prices at astronomical levels. Members and those who’ve bought season passes often let their seats lie vacant. I wish SeatGeek would arrive in our market and allow a bit of price discrimination – and I wouldn’t be surprised if the big sports leagues actually found it was to their advantage too. Posted on March 27, 2015 Author thomasthethinkengineCategories UncategorizedTags Economics, nba, scalping, seatgeek2 Comments on Slammer Jammer! Ticket scalping in America. I sat through a timeshare sales pitch on my holiday. Worth it? I haven’t posted for a while, because I was overseas. A good holiday should refill the tanks of any economics blogger with ideas and stories, and this trip – to the USA – was no exception. The story I will tell today was about an economic concept I never expected to think about. Timeshare. We were in Utah about three weeks ago, walking up Main Street in Park City, after a delicious dinner of ribs. The Main Street there is the beneficiary of generous heritage laws that preserve the low-rise, weatherboard feel of the mining town Park City once was. These days, the town mines wealthy visitors for their gold, a vein that has proved far deeper and richer than those geological deposits long since exhausted. Past the galleries and fine dining establishments we sauntered until we came across a storefront featuring an ugly yeti sitting in a busted-up old armchair. The yeti was so out of place among the aura of refinement that I stopped and looked at it. It plays no further role in this story, but it serves as a sort of turning point, because the yeti explains why I was stationary long enough for a salesman with a lazy eye and a flat cap to entice me inside his storefront. “Want some free ski passes?” he yelled out. In this environment awash with expensiveness (we had just split a $29 plate of ribs between two at the restaurant, braving the wrath of the service staff) the prospect of saving a few dollars seemed wise. We stepped inside to learn more. The salesman, named Gino, managed quite easily to convince us to attend a timeshare presentation two days later, with only a modest amount of stretching the truth. In return for an hour of our time listening to the amazing deal offered by the Hilton Grand Vacations Club (he eventually conceded it would be 90-120 minutes), we would be given two free tickets to the ski resort of our choice. We had planned to ski at the swank resort of Deer Valley, and the tickets there cost $114 each. The payoff looked good. Gino promised a car would collect us from our accommodation to take us to the timeshare presentation. That was attractive because the presentation was at a resort we wanted to go to, which was a bus-ride away. Right at the end of his sales pitch, he revealed that there was a forfeitable $20 deposit that we would pay in cash now and receive back at the end of the timeshare presentation. By this stage the decision had been made and we handed over a greenback. The whole deal was formalised on a contract on Hilton letterhead, with the time our driver would arrive, promises that we met a certain minimum income level, and our reward of free ski passes. As we left Gino and his yeti to lure further punters, we seemed to have executed quite a coup! We were obviously never going to buy the thing. And Gino said the timeshare presentation would be replete with refreshments. But later that night, back at our accommodation, Google put the frighteners on us. We read of timeshare presentations that would last for four hours. Of intimidation, bullying and lies. Of being bounced from salesman to salesman each time they said no. Of people buying a timeshare just to bring the experience of the presentation to an end. Horror stories filled the Google results. I lay awake thinking of strategies that might convince the salesman we truly didn’t want or couldn’t afford the thing. The irony of missing a day’s skiing stuck in some ridiculous presentation in order to gain a free day of skiing was abundantly clear. When the day dawned and our big white GMC SUV came to collect us at 8:30am, as promised, I had a strategy prepared. Our salesman was named Sy. 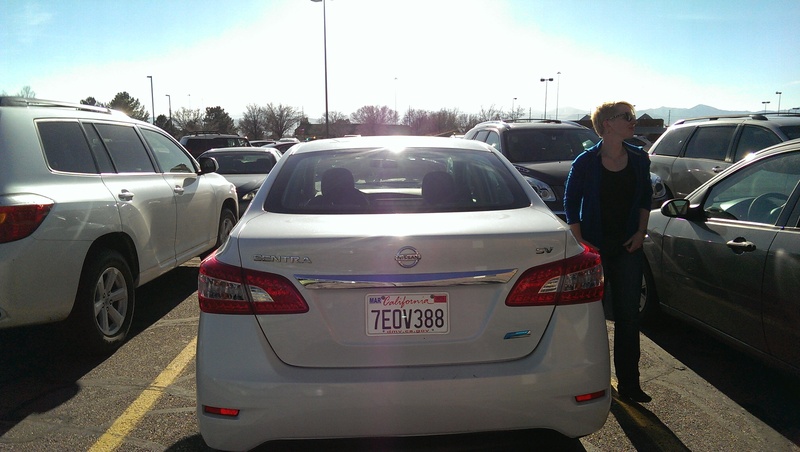 He was perhaps 45, and his name-tag said he was from Las Vegas, Nevada. We went from the plush foyer to a much more mundane office area, with many small cubicles purpose-built for selling timeshare. Other couples wandered round after their salespeople, as if in a daze. Sy seemed open and honest. Early in the piece I rolled out my managment strategy – one of total honesty. I told Sy about the yeti, about Gino the salesman and his promises of free ski passes, about our excitment and then our nervousness when we read the horror stories on the internet. Sy took this in his stride, promising to have us out of there within two hours. He wanted to know our professions, he wanted to know how much annual leave we got and he wanted to know how much we were paying for our accommodation in Park City. Our answer on this latter point visibly shocked him, because I had spent a lot of time shopping around for a good deal, and booked a place that seemed like it had been unrenovated since 1965. 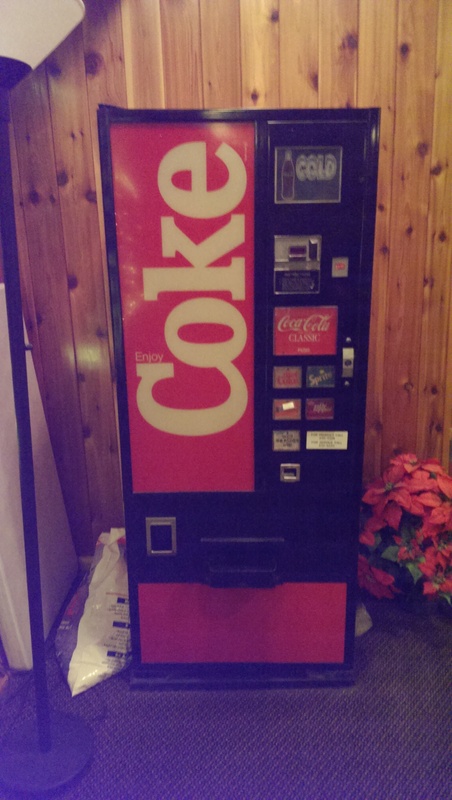 This antique vending machine from the foyer of our accommodation was indicative. Sy very much enjoyed multiplying things together on his calculator, and he showed us that if we spent that much on accommodation for two to three weeks every year for 40 years, we’d have spent tens of thousands of dollars. Lucky for him we did not mention the trip we took to China 18 months ago where we got double rooms in youth hostels at about $50 a night, because that would have ruined his sums. The way the timeshare works is – of course – complicated. You can enjoy it in the classic sense, by simply showing up to the same location at the same time every year, but the sales pitch steers you away from that idea with the promise of points. These points are granted every year, and appear to offer greater value when deployed staying in other properties globally (there seemed to be about 50) as detailed in a very glossy brochure. Instead of one week in Utah, we could get three weeks in Italy, or about 20 weeks in Las Vegas in the off-season. Points could be shifted forward or back one year, but would, after two years, expire if unused. Except they wouldn’t actually expire! They’d turn into Hilton Honours points and be spendable at an even greater range of properties, as detailed in another very glossy brochure. The right to the timeshare would exist in perpetuity, and never expire. Our grandchildren’s grandchildren could still be enjoying a week in Utah every year, Sy insisted. I wanted to know more about the money side of things, and hear less about the points, but those figures would not be revealed until after the property tour. We set off. It was opulent beyond belief. These were not standard hotel rooms. Sy said the development had been built as condos and then the whole thing was sold off in the GFC when the developer went under. Hilton snapped them up. He claimed they were being rented for $2000 a night in the high season, and I believed it. They were giant. 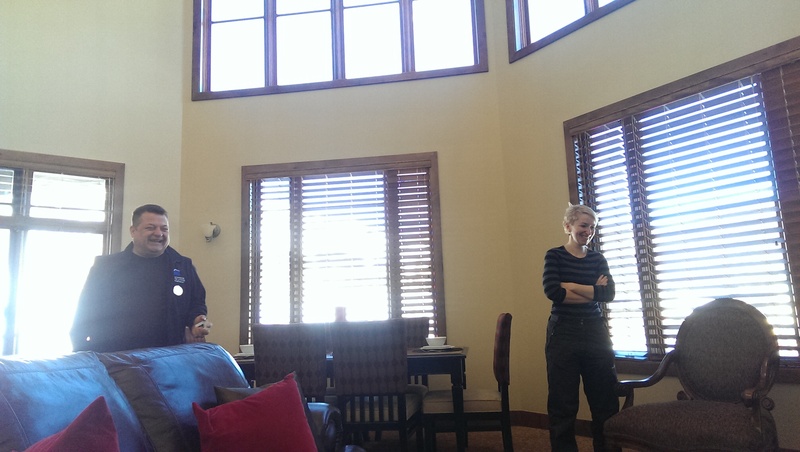 Inside the palatial rooms with our salesman, Sy. Finally, 100 minutes after our arrival, we started talking money. I’d been wondering at the buy-in cost and had no sense of whether it would be $10,000 or $200,000. It came in at the lower end of my guesses, at $43,000 for a two bedroom property (with two kitchens, so it could be split into two normal size hotel suites). There was, of course, an annual maintenance fee of $1200, to keep the property looking Hilton quality. The maintenance fee actually seemed pretty good to me, given the places were fully furnished, stocked with cutlery and crockery, etc. There were also booking fees of $60 or so if you wanted to use the property. And if you didn’t have $43,000 now, you could pay it off with finance at a rate of 5%, plus a closeout fee of around $1000 when the mortgage was done. But where Sy’s calculator heroics really turned me away was when he tried to account for inflation. He asked me what I thought was a fair rate of annual inflation and applied that to the expected accommodation expenditure stream over 40 years that we had estimated before. But did he use it as a discount rate? No. He actually tried to inflate my expenditure stream over 40 years to make it look even bigger than the present day expense of $43,000. At that point, I understood. Timeshare is for people who don’t understand the time value of money. Future expenditure is worth less, not more, than current expenditure. Also, paying upfront for holidays depends on bad reasoning about the stability of your demand for holidays over time – and also your ability to pay for them. Lives can change in a way that make regular holidays a distant memory. Timeshare also depends on misunderstanding the stability of the hotel business. If Hilton goes bust, or decides to close its timeshare operations, the value of the property will sink. Furthermore, nowhere in the entire presentation was there anything about the rate of return you could expect if you never used the property and simply rented it out. That’s a flashing red warning that the rate of return starts with a minus sign. Sy also mentioned that if you wanted to sell the property, Hilton had first right at buying it back. This made sense given what I’d read online, which was that second-hand timeshares sold at significant discounts to the sticker price. After this sales pitch – which felt like an endurance race – finally got to the end, I rolled out part two of my salesman management strategy. Right then, Sy handed over an envelope with two free ski passes and our $20 in cash, and let us go! It had been, in the end, far easier and less stressful than I expected. I attribute that in part to clever management by us, and in part to the selection bias for horror stories on the internet that had shaped my expectations. Two hours work, for $114 value. Plus free coffee and juices and a free ride in a car. So, is sitting through a timeshare presentation worth doing in the middle of your holiday? That depends on how you value your time on that particular day. But one thing is clear – agreeing to endure the sales pitch is much better value than agreeing to buy the actual timeshare. 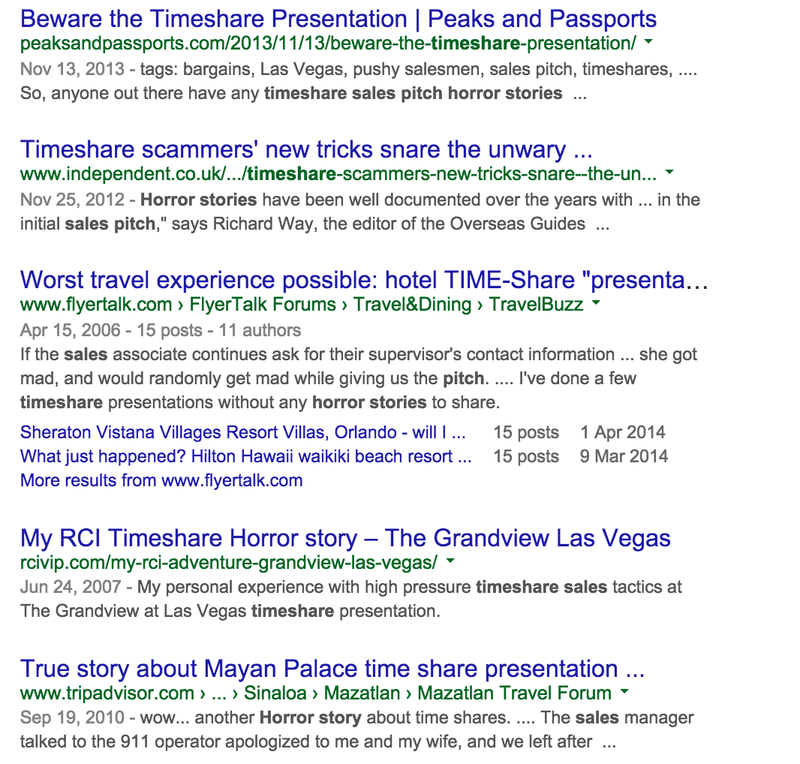 Posted on March 26, 2015 April 9, 2015 Author thomasthethinkengineCategories UncategorizedTags hilton grand vacations club, timeshare, timeshare presentation, worth it12 Comments on I sat through a timeshare sales pitch on my holiday. Worth it?